This Southern Utah spectacle sits atop the Colorado Plateau at 8,000 to 9,000 feet, making it a great choice for summer travels in the Southwest. And if you can go in the fall, do! Blazing gold aspen leaves are a gorgeous contrast to the red rock hoodoos. Those hoodoos are the park’s geologic claim to fame. Bryce Canyon has more of these sentry-like rock pillars than any other place in the world—a whole natural amphitheater of them. The hoodoos and other eroded features make Bryce Canyon hiking trails magical, like the aptly named Fairyland Loop. Before or after your hike, be sure to take a moment at one of the incredible viewpoints to absorb the serenity of a spectacular sunrise or sunset. When darkness falls, behold the Milky Way the way early peoples did—glittering in a pitch-black sky, and with awe. 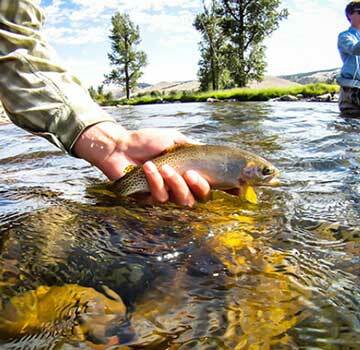 OBP offers many ways to travel: Fly Fishing Expeditions, Ranch Vacations, Small Group Adventures & Custom Journeys . Bryce Canyon National Park has something for everyone! 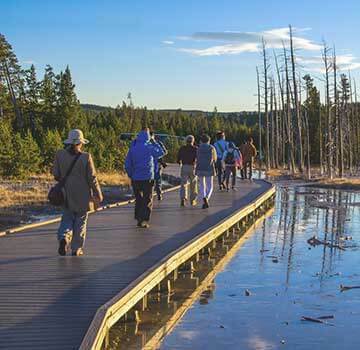 Family travel to Bryce Canyon comes with plenty of activities. 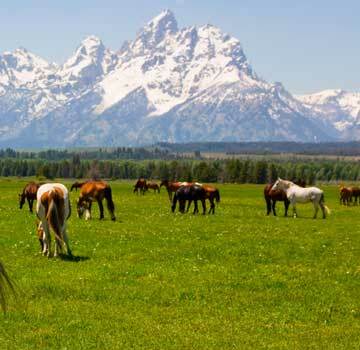 like horseback riding, hiking, and stargazing. Dedicated hikers are drawn here for the otherworldly trails and unique hiking experiences the park offers. If astronomy is your thing, Bryce Canyon is a certified Dark Sky park, with exceptional stargazing. Bring your own telescope or sign up for a stargazing program led by one of the park's "Dark Rangers. Let us help you choose the right guided small-group trip, or we can connect you with one of our Southwest travel planners to craft the perfect private custom trip tailored to your needs and interests, just for you.